What started as a dream season changed to the nightmare last week. You can call it a premature statement, but Barcelona is facing the biggest results slump in the last two years. Barcelona has just two points out of its last three La Liga matches. Barcelona started the La Liga season with 4 victories and impressive score 14:3. On the top of it, they roll over PSV with 4:0 win in Champions League match played on Tuesday 09/18/2018. 11 days later and Barcelona is in a shock. One loss with Leganes who is still staying at the bottom of La Liga table and two home draws with average opponents. Anybody saying “it is a normal thing” or “it can happen to everyone” is wrong. Last time Barcelona did not win in three consecutive matches was in autumn 2016. And when you look at the Barcelona line-up for Copa Del Rey match against Hercules, you will see that it was far away from the strongest squad possible. There were four occasions in the past two years when Barcelona did not win two consecutive matches. In January 2017 (loss in Bilbao (Copa del Rey) and draw in Villareal), in April 2017 (losses with Malaga and Juventus), in August 2017 (two losses with Real Madrid in Supercup), in November 2017 (draws with Juventus and Valencia). Barcelona was always able to regroup and win after the loss or draw. This week Barcelona looked differently. Weak, not able to focus, making horrible mistakes in defense. What went wrong in such a short period of time? The old core (Xavi, Iniesta, Mascherano) is gone and the Barcelona squad was left solely in Messi’s hands. Messi is the brilliant player, but he is missing some leadership skills. (Just look at Argentina national team and its results with Messi). 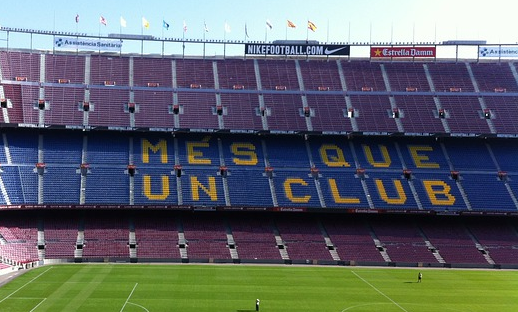 Now it is time for Messi to prove he can rule at the Nou Camp. October can be a month when a new leader can be born, or the season will turn to absolute disaster in Barcelona. Two Champions League matches against Tottenham and Inter Milan, three La Liga matches against Valencia, Sevilla and Real Madrid would be an absolute test for every team. Barcelona needs to prove they can win no matter who the opponent is. El Classico at the end of October (10/28) can mark the end of an old era and beginning of the new one. It is up to Leo Messi to decide how will be October 2018 known for all Barcelona fans.